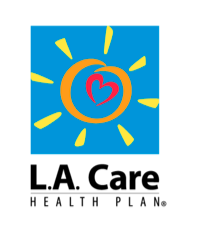 Established in 1997, L.A. Care Health Plan is an independent local public agency created by the state of California to provide health coverage to low-income Los Angeles County residents. Based in Los Angeles, L.A. Care serves Covered California enrollees in pricing regions 15 and 16. Barriers to care can come in many forms. For those not using banking services, it is a real benefit to be able to make premium payments in cash. L.A. Care members can pay their monthly insurance premiums using cash at any 7-Eleven, ACE Cash Express, or Family Dollar store, with nearly 700 locations in Los Angeles County and approximately 2,000 sites throughout California. More than 73 percent of L.A. Care’s Covered California enrollment belongs to a racial/ ethnic group other than Caucasian/white, and 36 percent of its members prefer a language other than English. L.A. Care’s efforts to serve its members in culturally and linguistically appropriate ways has earned the Multicultural Health Care Distinction from the National Committee for Quality Assurance. Working with the Los Angeles Department of Public Health, L.A. Care funded and supported implementation of an eConsult system that allows primary care and specialty physicians to consult on behalf of patients, eliminating unnecessary referrals and dramatically reducing wait times for specialist visits. L.A. Care continues to expand the number of doctors, hospitals and medical groups in its provider network. Since 2013, L.A. Care has more than doubled the number of medical groups, nearly doubled the number of hospitals and tripled the number of primary care physicians and specialists in its network. L.A. Care’s 2016 Covered California network will include access to 42 hospitals, 19 medical groups, 2,801 primary care physicians and 2,559 specialists throughout the greater Los Angeles area.